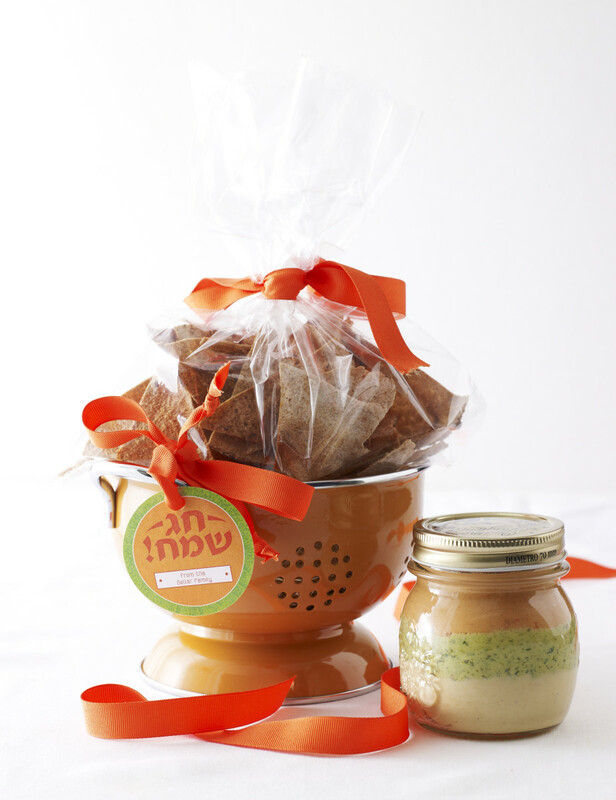 The Recipes + The Packaging + The Downloadable Purim Cards - We have taken care of everything with your busy lives in mind, all you have to do is choose a theme. Last year, it was the picture frames you see below. There was a whole aisle of frames, in different sizes and styles. Even though I usually prefer modern styles, this time I loaded up my wagon with the most ornate detailed frames (including the one in the photo)—those definitely didn’t look like they cost one dollar! 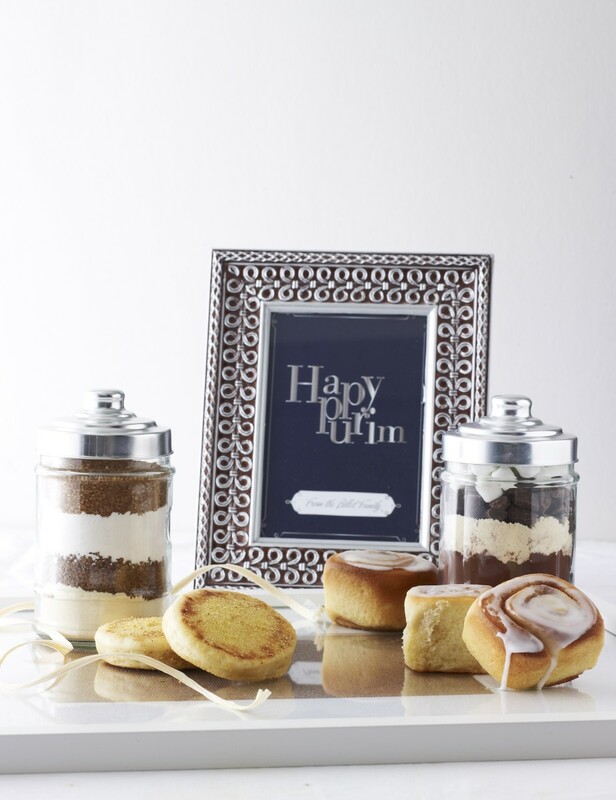 The frames were repurposed as trays and wrapped up in cellophane with grosgrain and pearls. 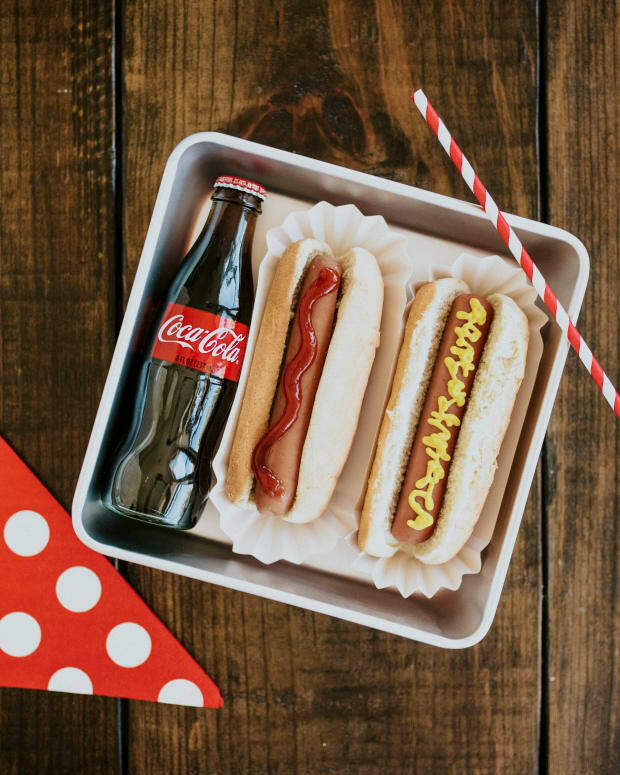 The Joy of Kosher team collaborated to come up with these recipes and concepts. We made sure all of the recipes can be prepared in advance and of the packaging is accessible. All the pricing and source information is available, and all the Purim cards you see (and more!) are downloadable. Read on for more inspiration and ideas for your own mishloach manos. Happy Purim! Colander, available in different colors, $5.99, Home Goods. Italian Round Ball Jars, $5.99 for a pack of 4, Home Goods. “The trick to making this look really beautiful," Felisa said about the hot cocoa mix, "is to layer the ingredients so that it resembles sand art. Print the instructions and tie them with a ribbon onto the mix so your recipients will know what to do.” We rounded out the breakfast concept with a not-so-sweet option: English muffins. During one breakfast phase, I ate English muffins every day—toasted with cream cheese, or with a touch of butter, sugar, and cinnamon. Since store bought English muffins are dairy, I made my English muffins at home so I could have a non-dairy or Chalav Yisrael version…and homemade is so much better. Picture frames repurposed as a tray, $1.00, Dollar Power. Glass canisters, $1.00, Dollar Power. Visit your local discount or dollar store for similar products. Tie up the whole tray in cellophane and seal with a grosgrain ribbon bow. These cookie purses are adorable for children’s mishloach manos. 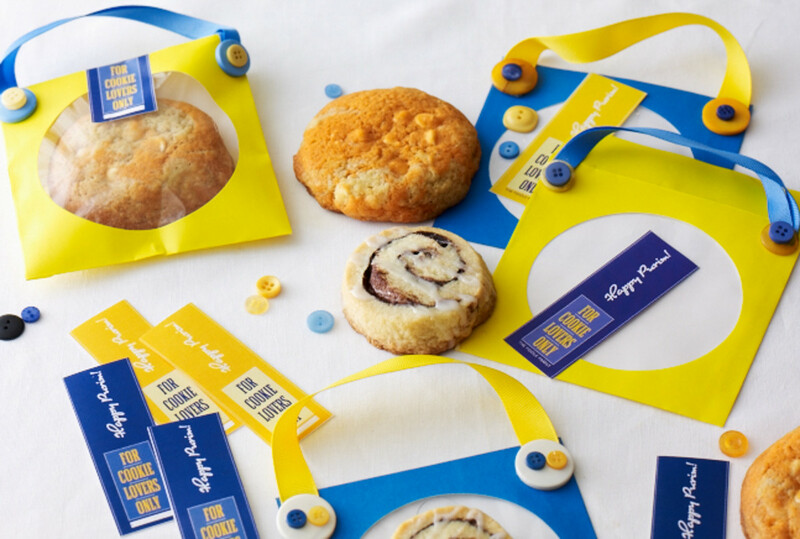 They’re actually made from CD sleeves—perfect for a cookie that’s 3.5 to 4-inches wide, depending on the thickness. We needed giant cookies to match! 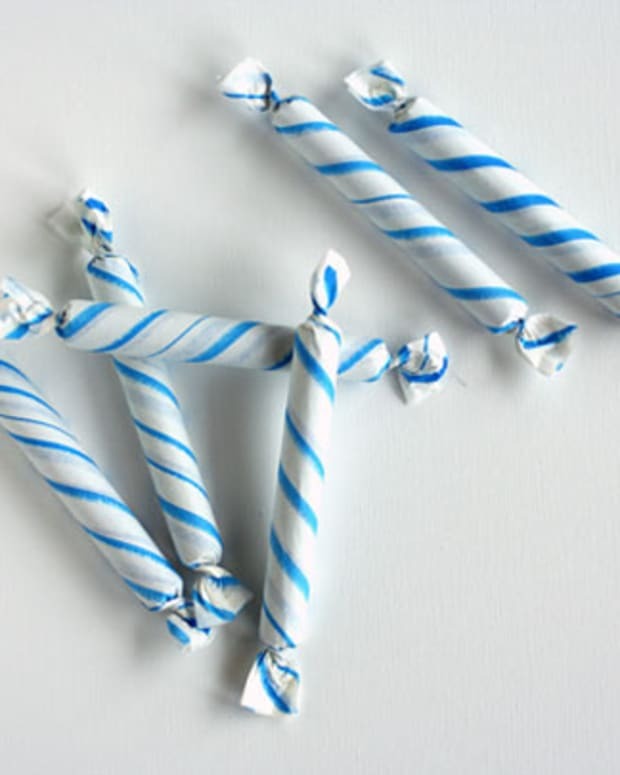 This is the only mishloach manos that needs a tiny bit of crafting. I glue-gunned the grosgrain ribbon to the cases, and covered the edges with cute buttons. I&apos;ve made Nechama’s fudgy kokosh cookies (inspired by the traditional Jewish kokosh cakes), again and again…the ingredients are simple, but very special! Multi-Color CD Sleeves, $6.24 for 100, Amazon.com. Grosgrain ribbon, $2.99 a roll, Michaels. Large bag of assorted buttons, $4.99, Michaels. 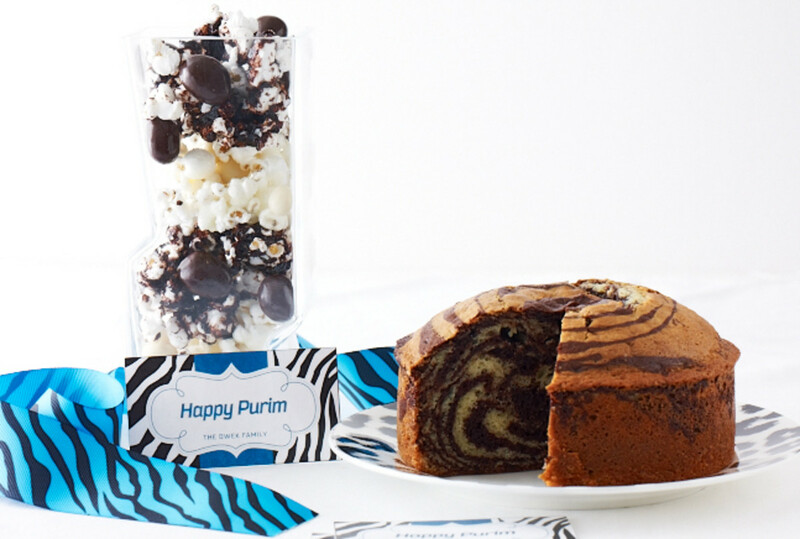 Keep your mishloach manos chic and simple with black and white treats punched up with animal prints. Gift the popcorn in a glass vase. I chose a zig-zag vase to carry through the zebra theme—and, of course, it coordinates with the very trendy zebra cake. Packaging: Animal print salad plate, $3.99, Home Goods. Zig-zag vase, $9.99, Home Goods. 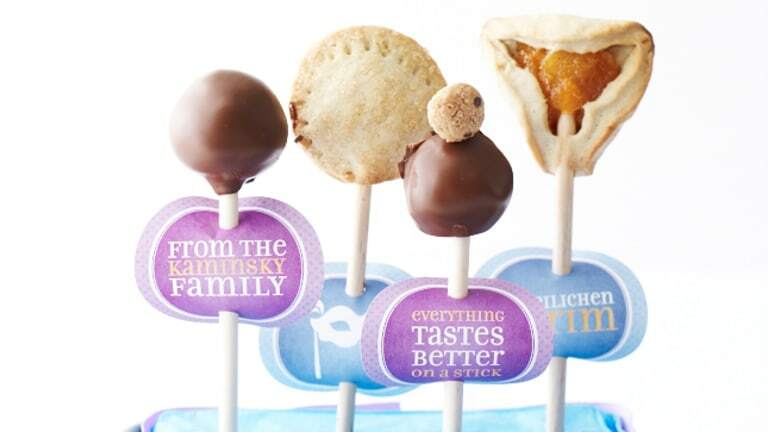 Pick one or mix-and match your favorite treats for a mishloach manos that’s very fun to create and eat. To make cake pops easily, you can buy our Cake Pop Kit. 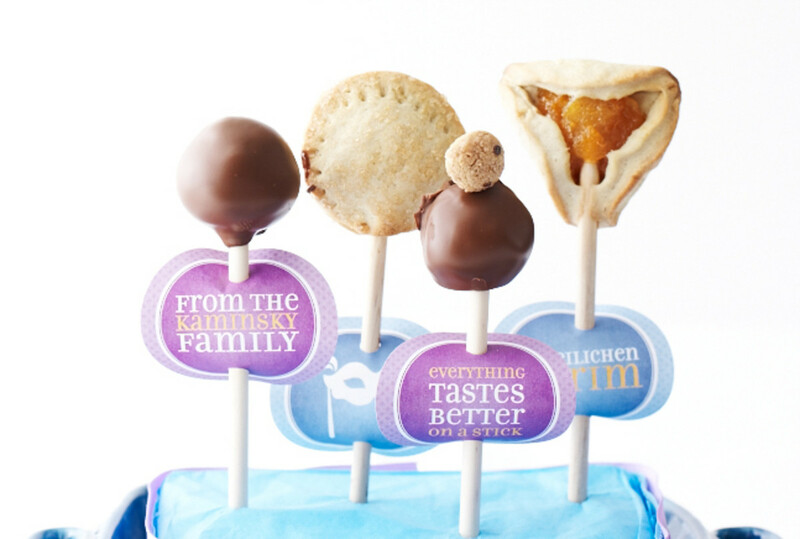 For hamentaschen on a stick, use your favorite hamantashen recipe with your choice of filling and insert the stick after your hamantaschen are already assembled, but before baking. Packaging: Turquoise bowl, $9.99. Home Goods. 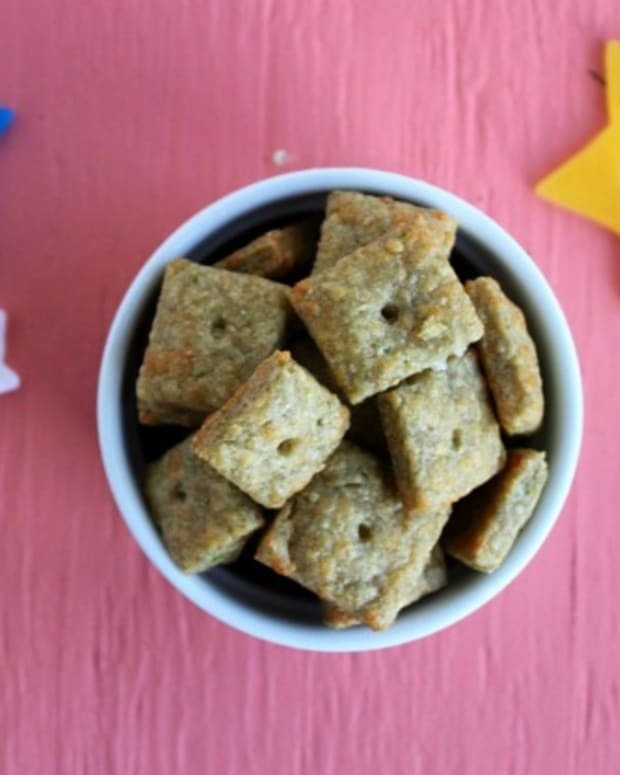 Insert a covered foam block into any bowl, dish, or container. We used a 2-inch jumbo hole punch from Michaels to easily cut out the circles. 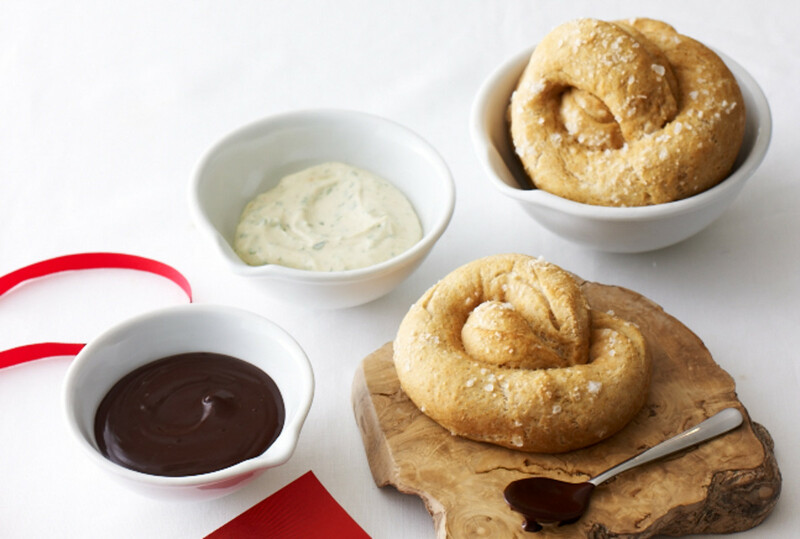 Your friends will thank you for this filling, snack as they shuffle around with their bags of treats all day, it will be nice to have something satisfying to eat and with one dip being rich dark chocolate and one a tarragon mustard, you can satisfy any craving. 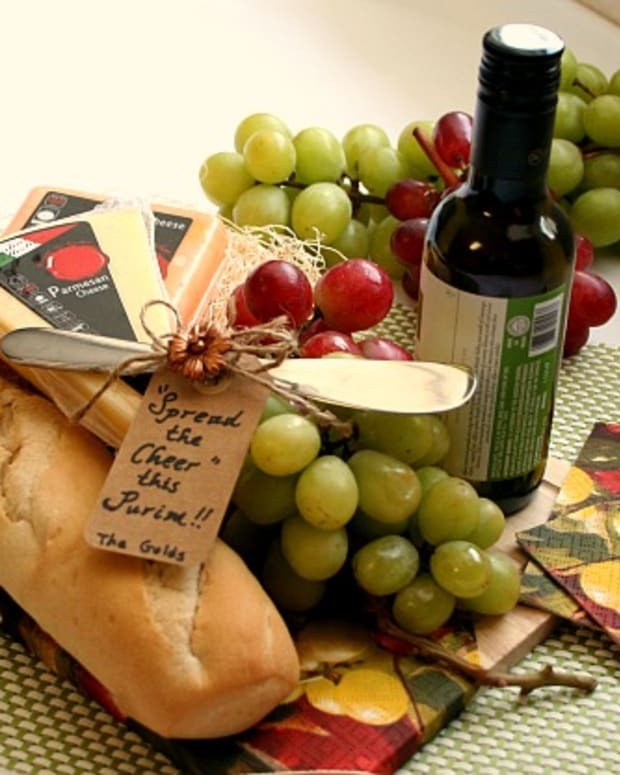 Packaging: Decorative box or basket lined with reusable towel or napkin. Fill two small jars with sauce and attach a card to bamboo spoon/spreader. Will you use any of these ideas? Let us know in the comments below and share your pictures on Facebook.